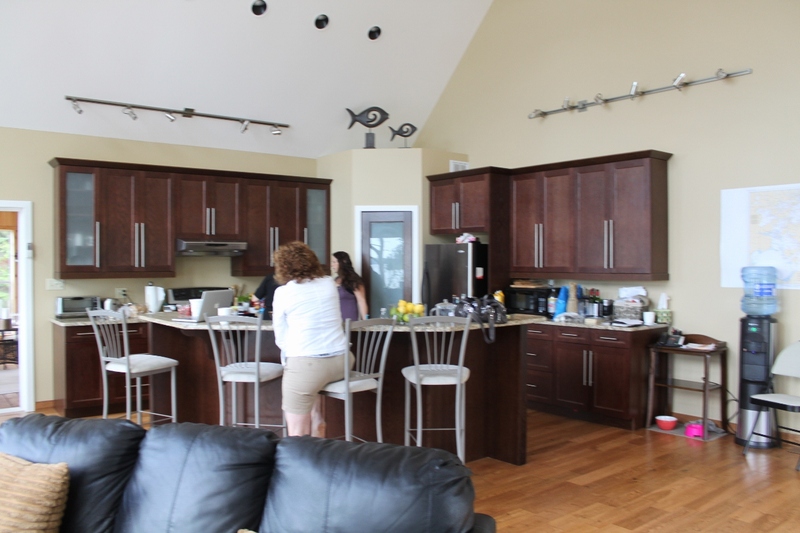 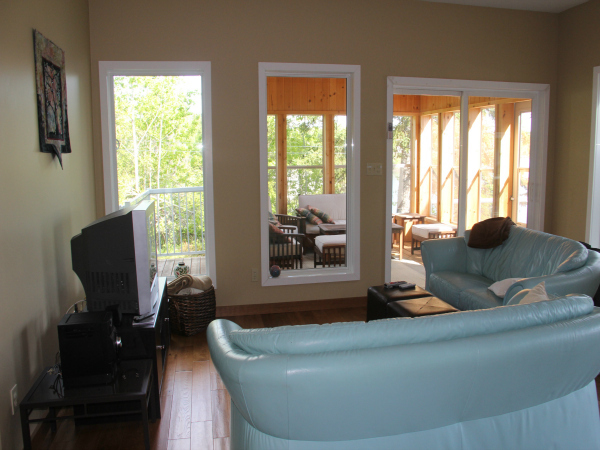 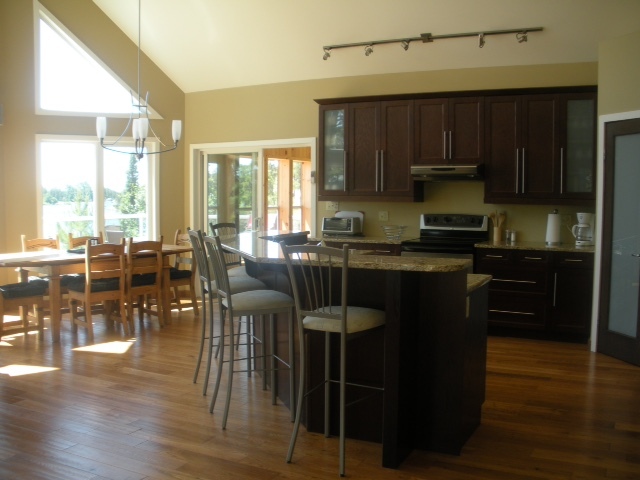 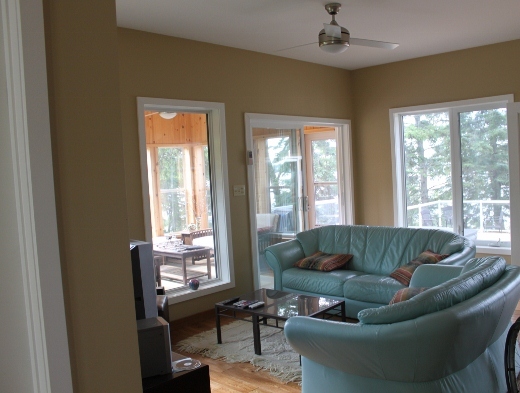 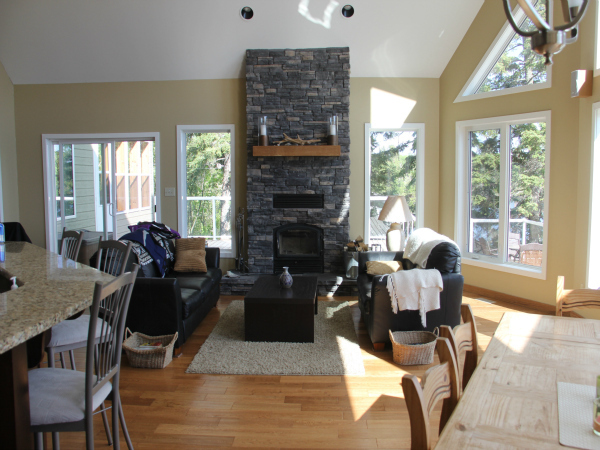 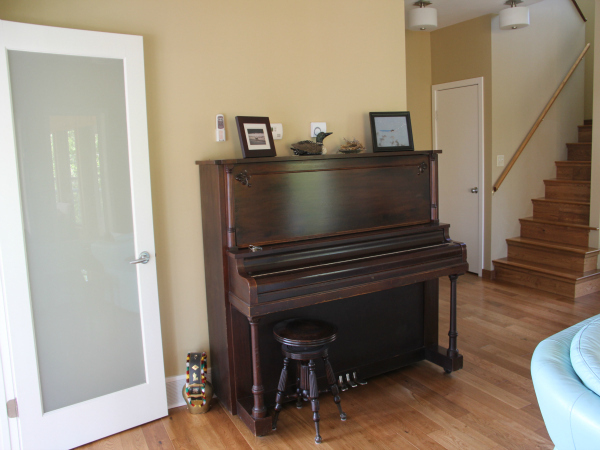 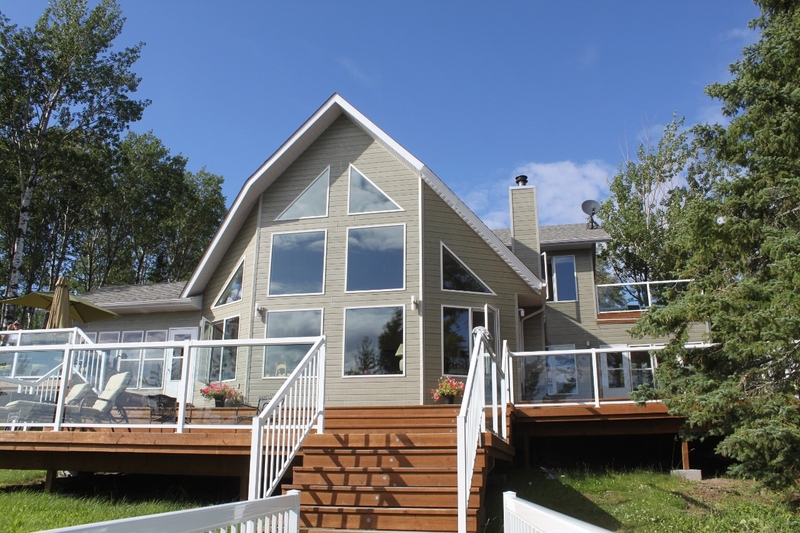 Beautiful, fully equipped, lake front Cottage. 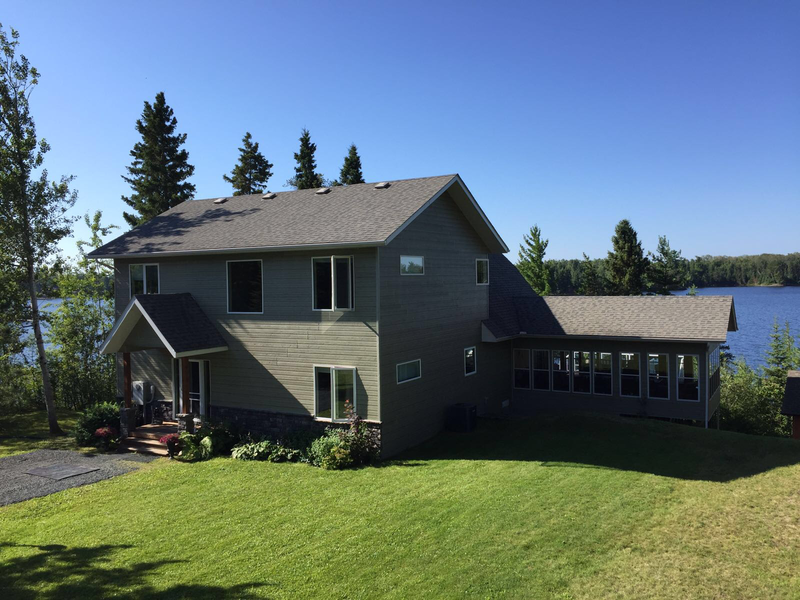 Located on the shores of Lake of the Woods Ontario, this magnificent property features 4 separate buildings with a total of 9 bedrooms, 7 bathrooms, a beautiful spacious kitchen and living space. 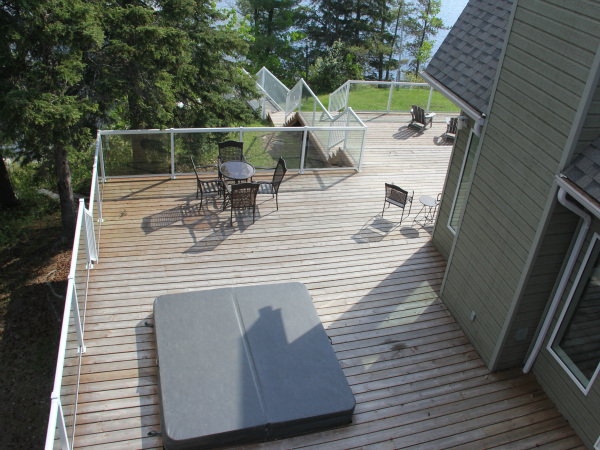 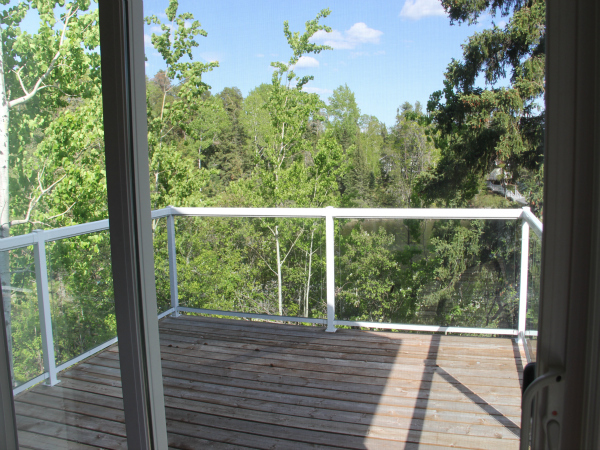 A BBQ is situated on the deck, adjacent to the large screened in dining room. 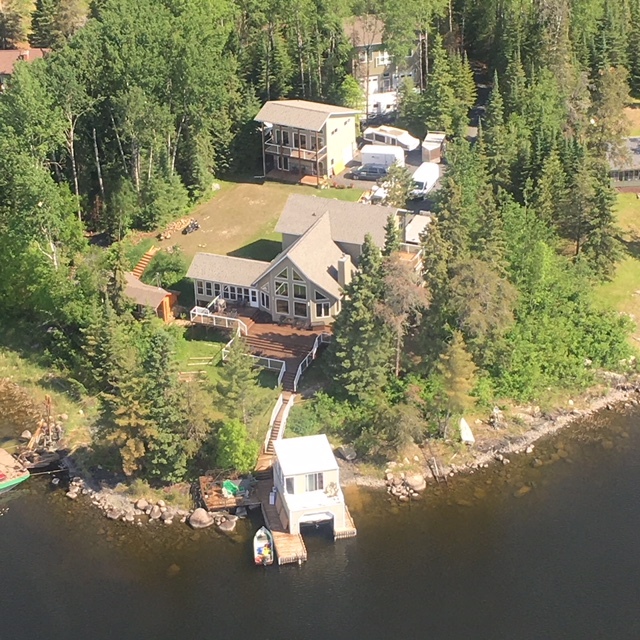 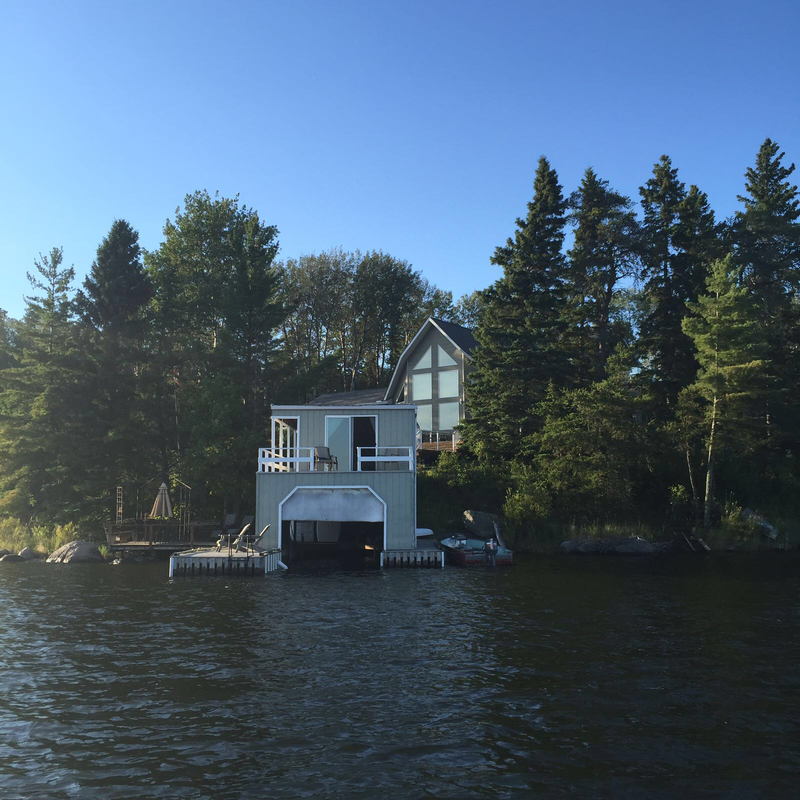 The large attached, multi-level deck will lead you right down to the water’s edge, where the upper level of the boathouse contains accommodation for 2 more people. 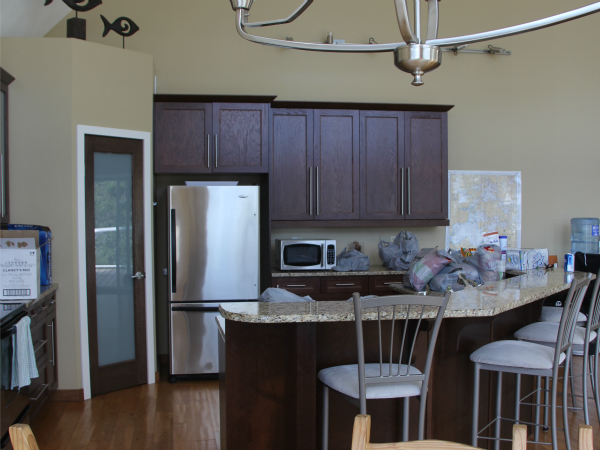 The whole complex has over 5,000sq ft of space. 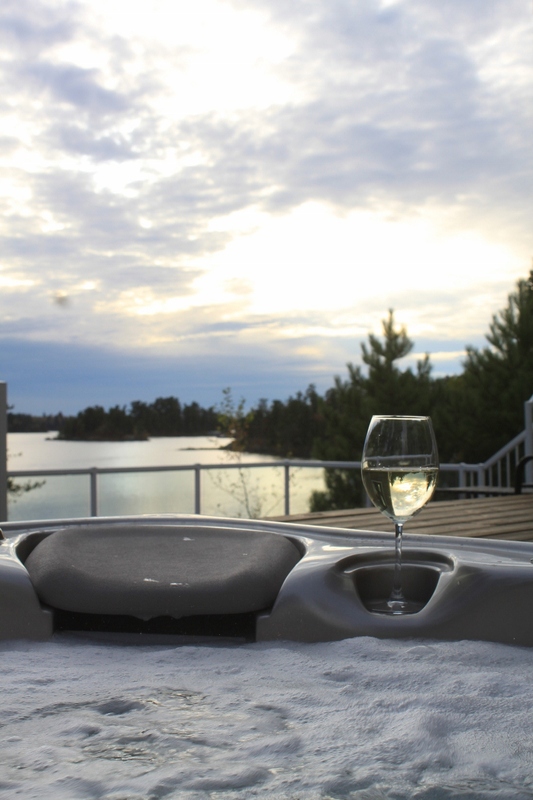 At the end of a wonderful day of fishing or water-sports, relax under the stars in the hot-tub out on the deck, or move inside in front of the living room fireplace. 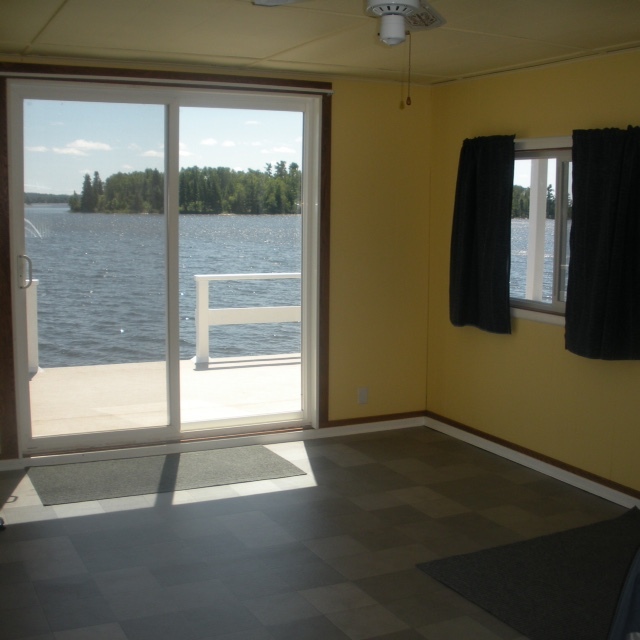 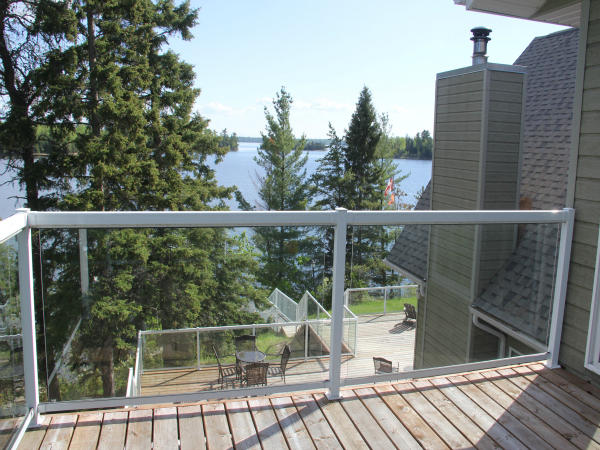 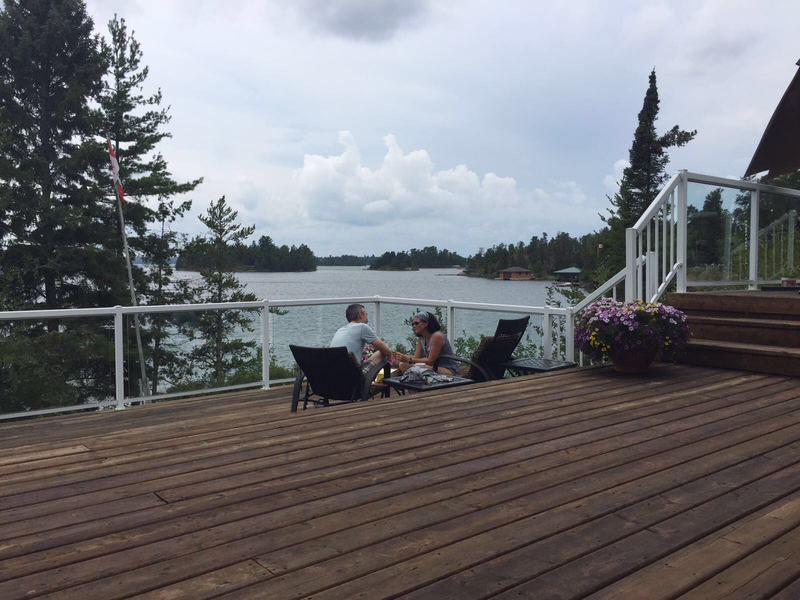 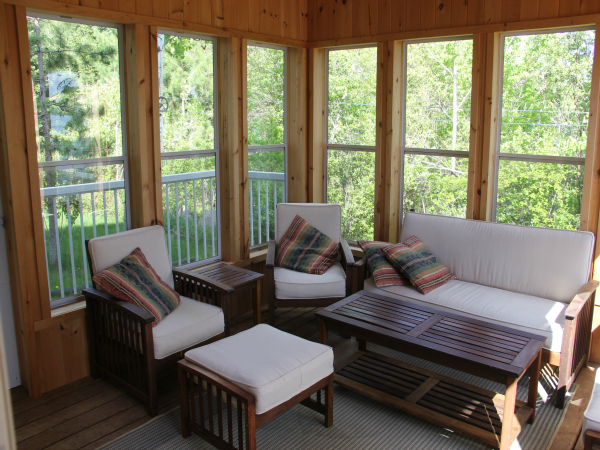 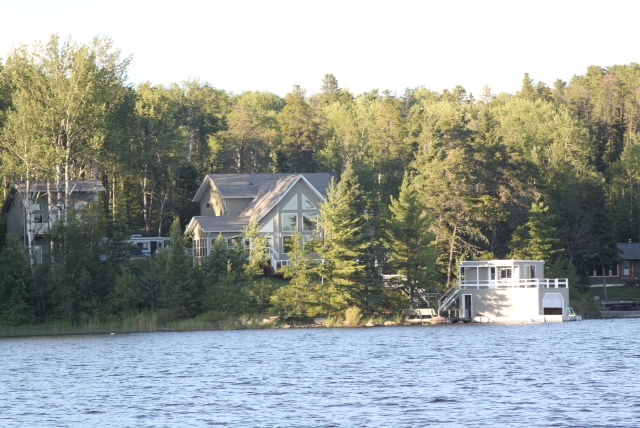 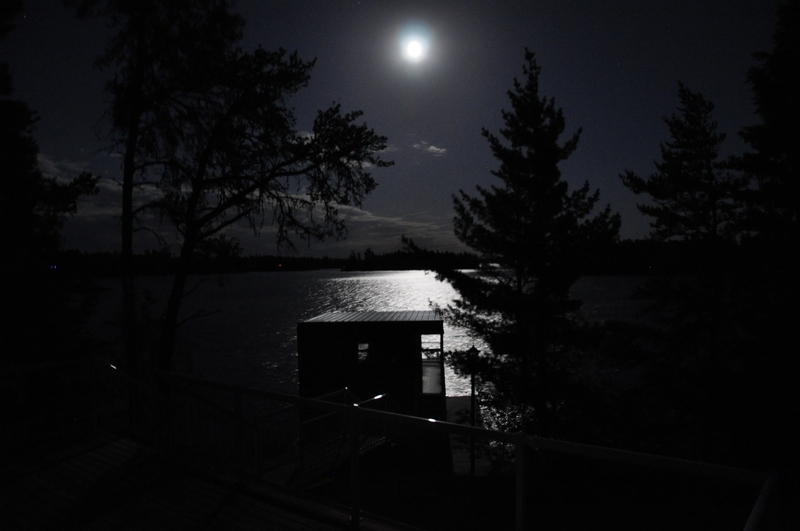 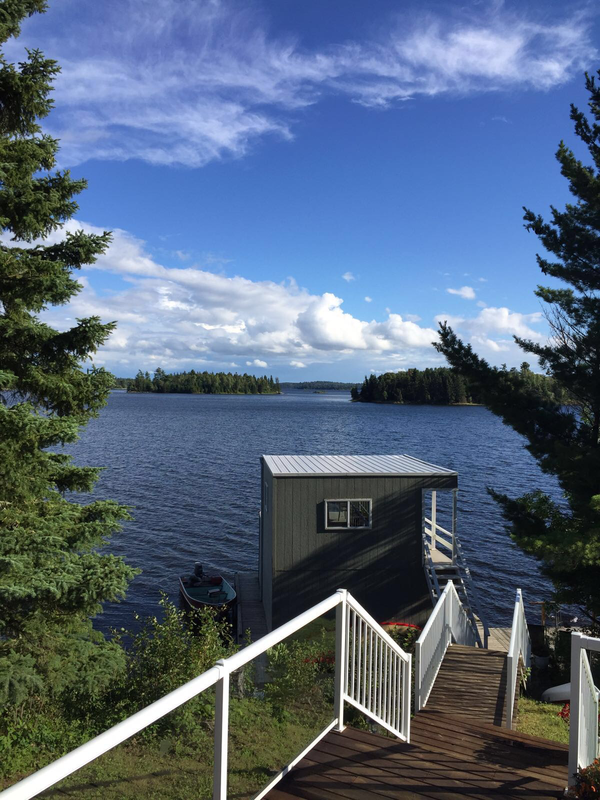 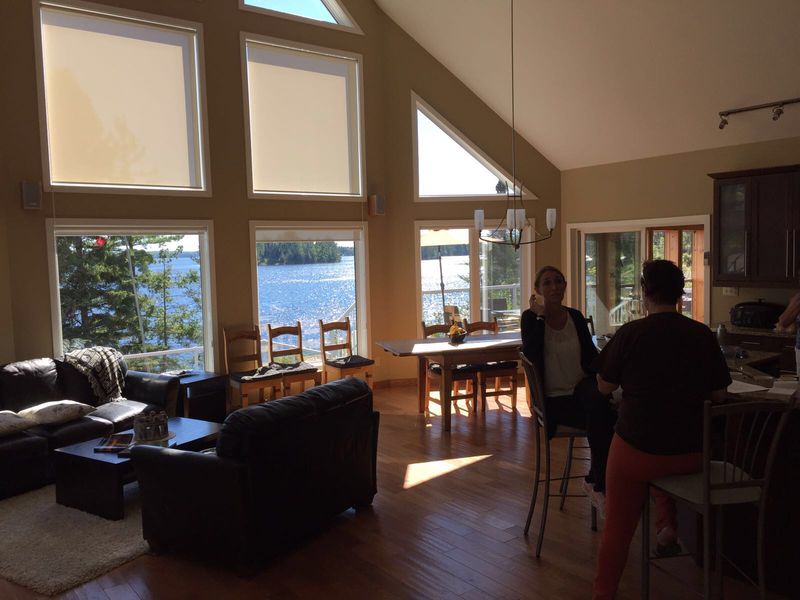 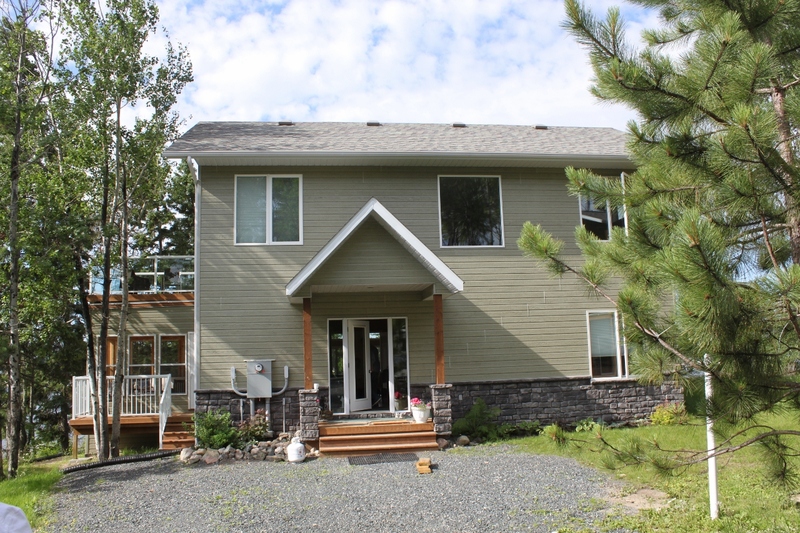 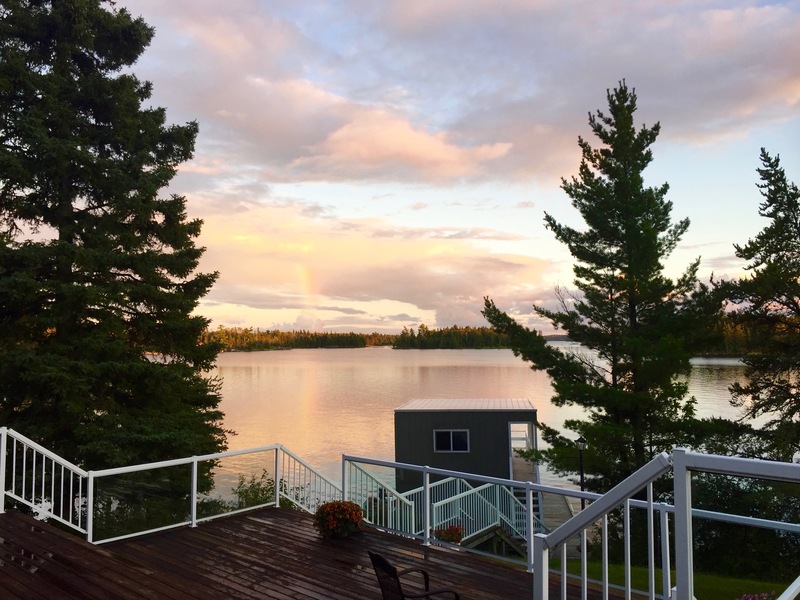 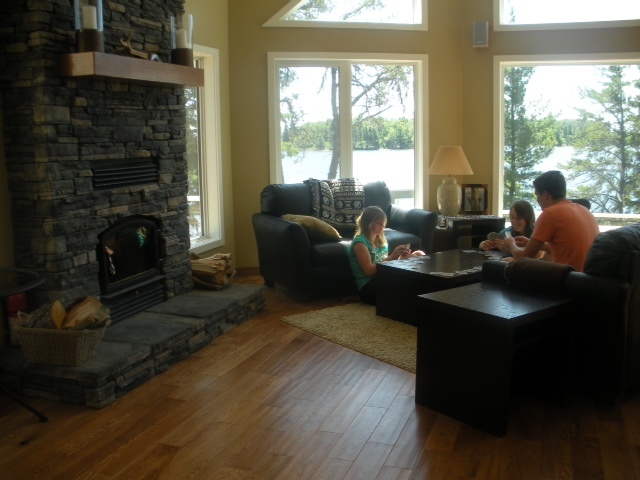 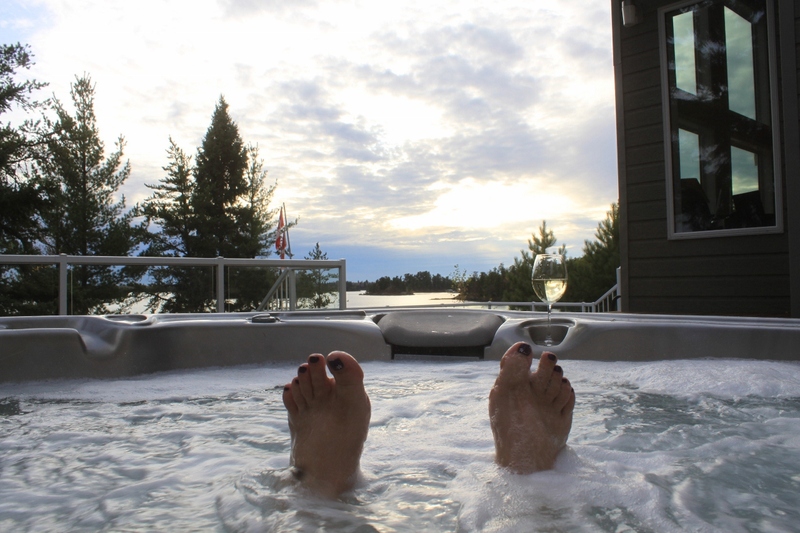 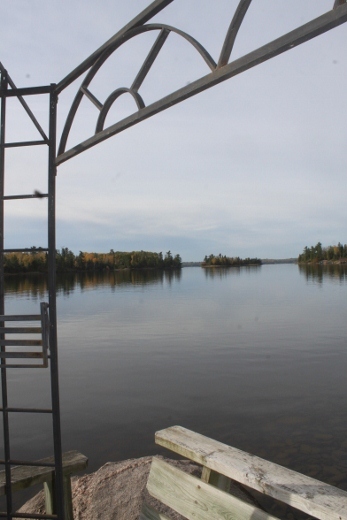 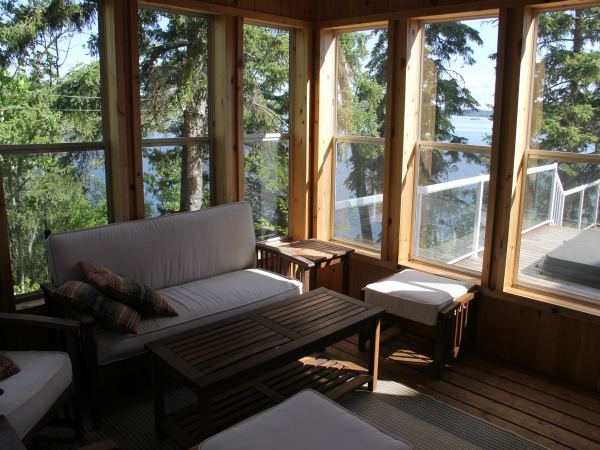 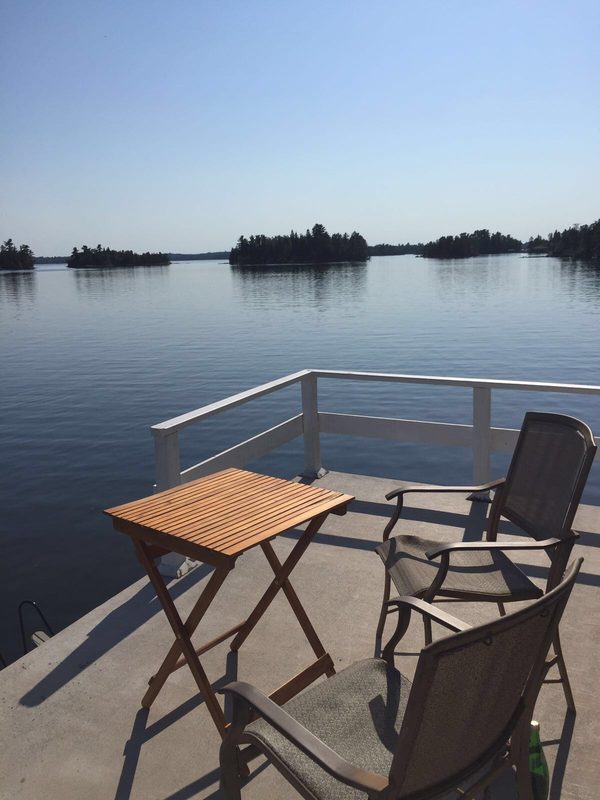 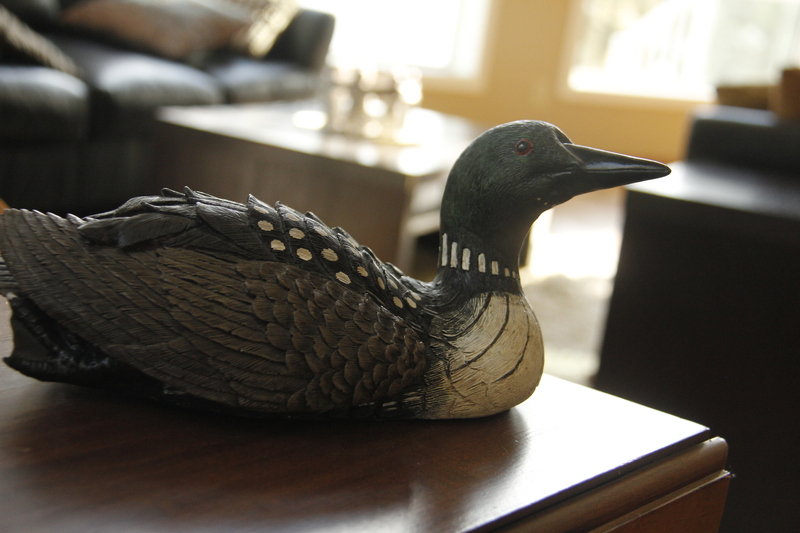 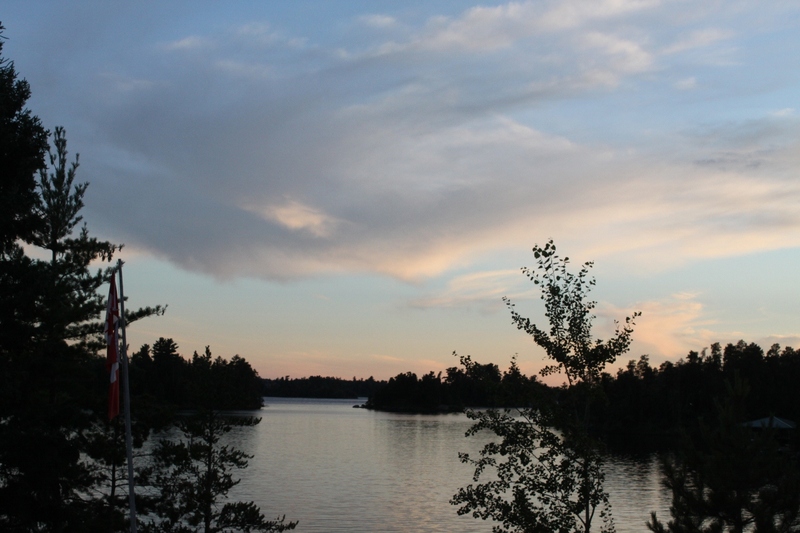 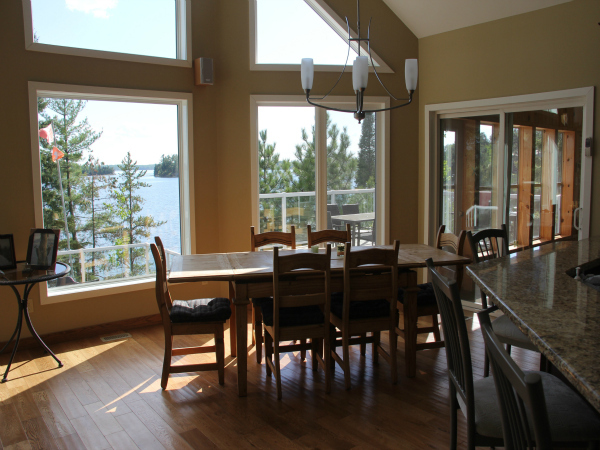 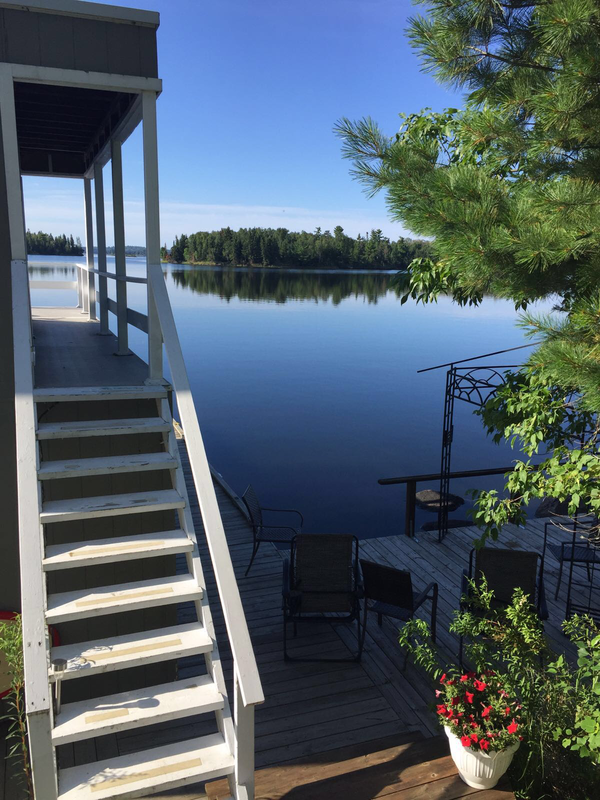 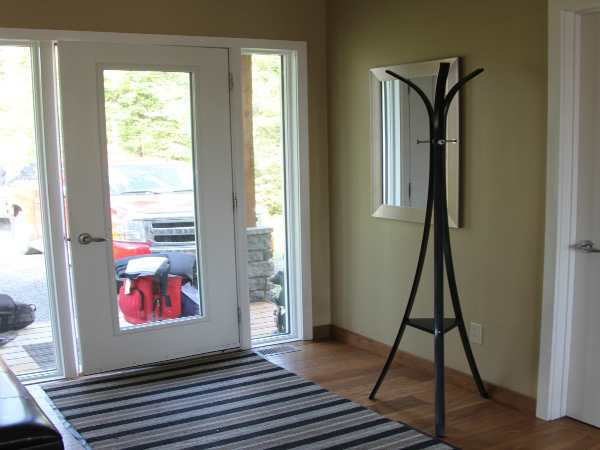 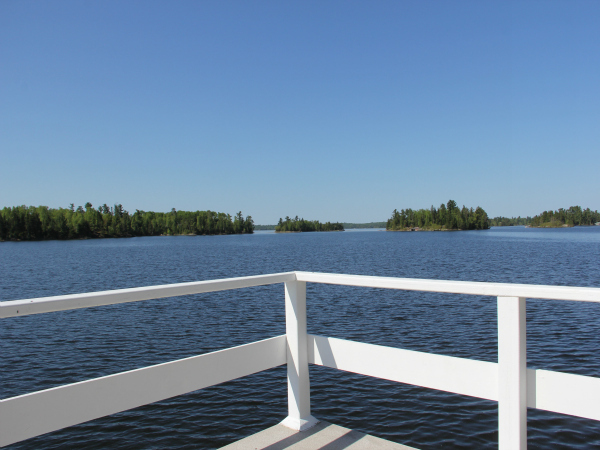 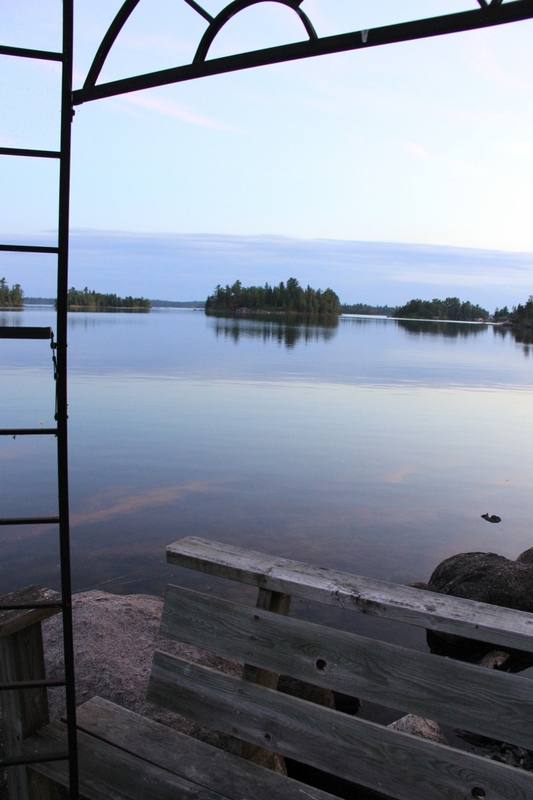 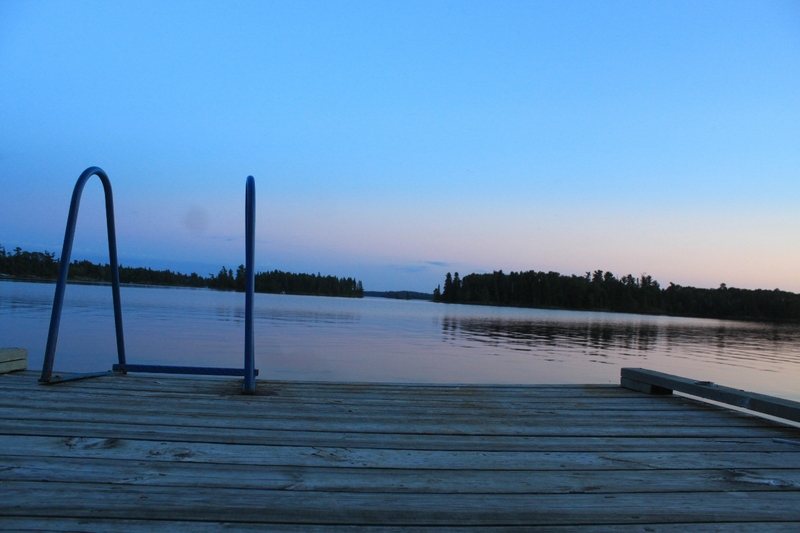 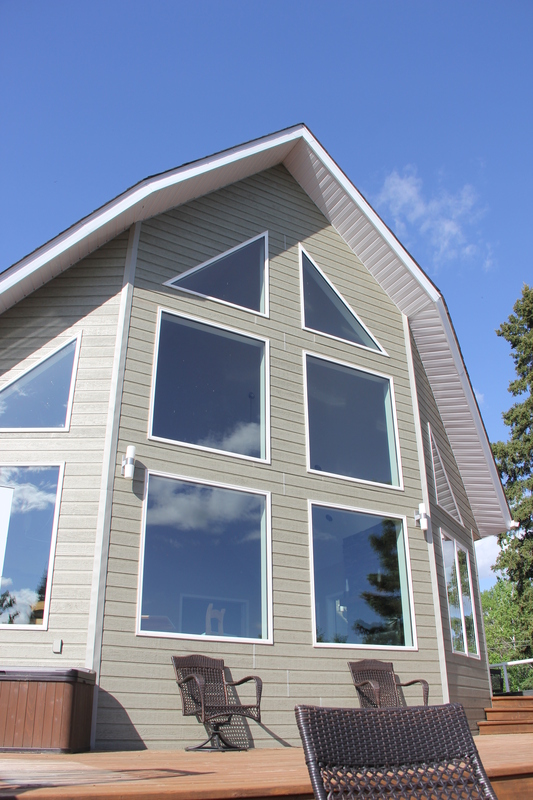 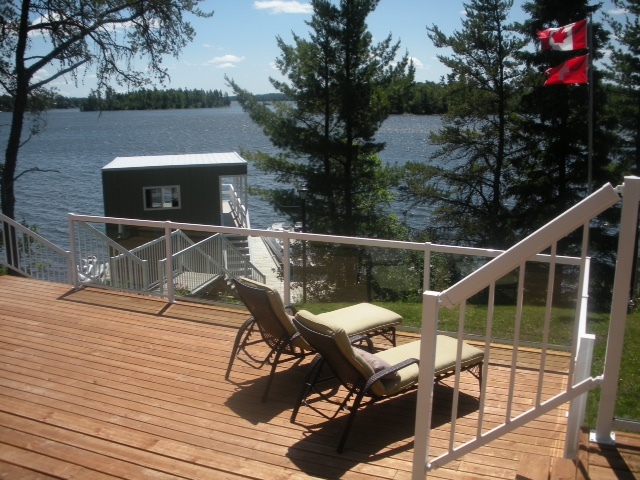 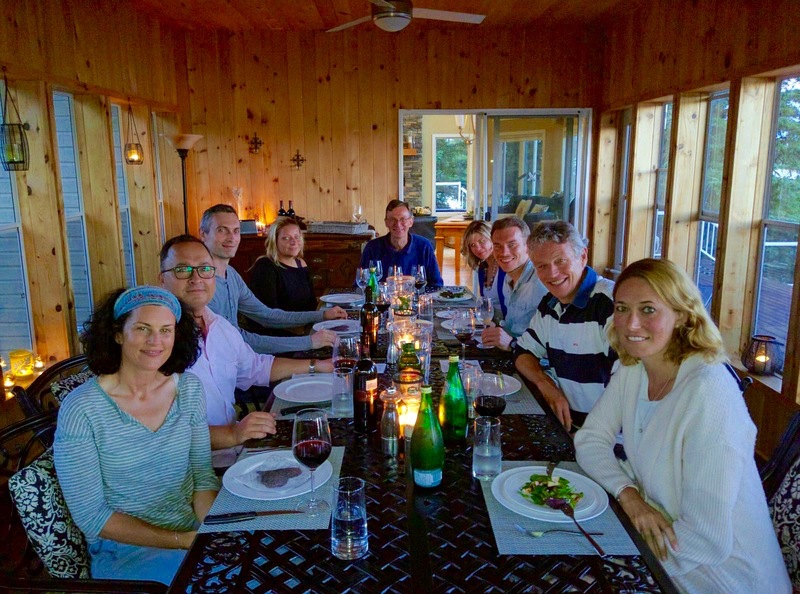 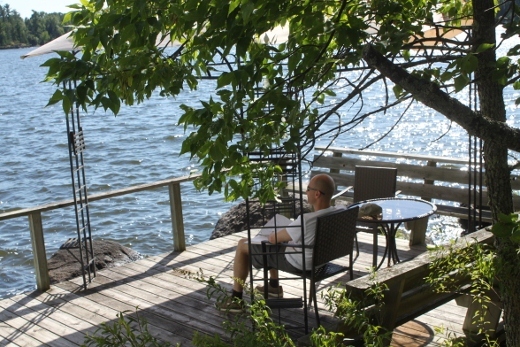 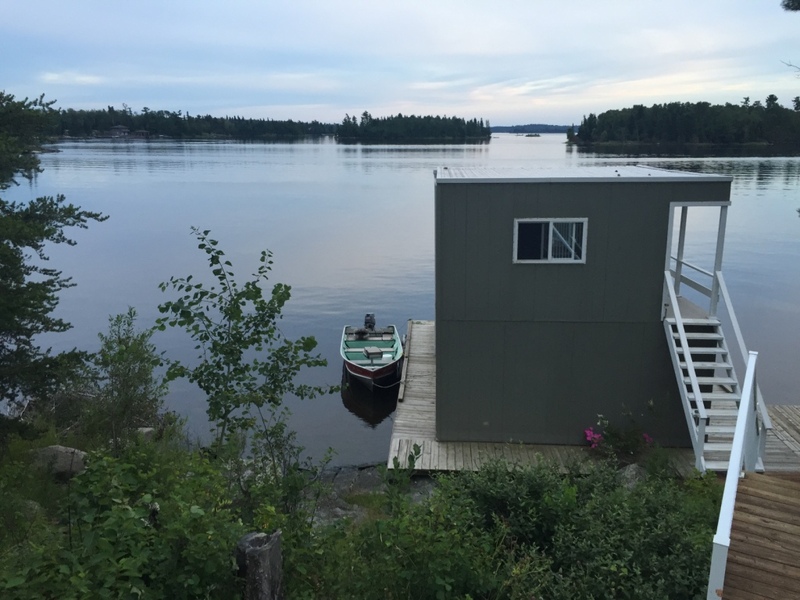 This beautiful cottage allows all vacationers the time and space required to breathe in the beauty of Lake of the Woods, and to drink in the peace and reflection that its shores offer. 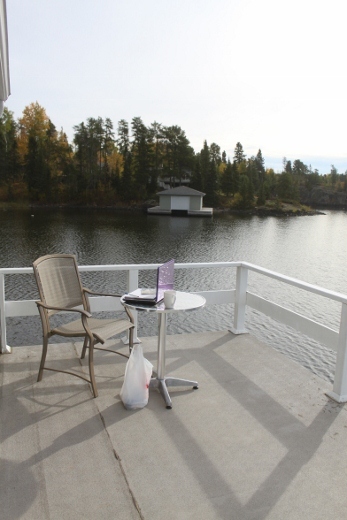 Stormbay also offers everything needed for business off-sites or seminars. 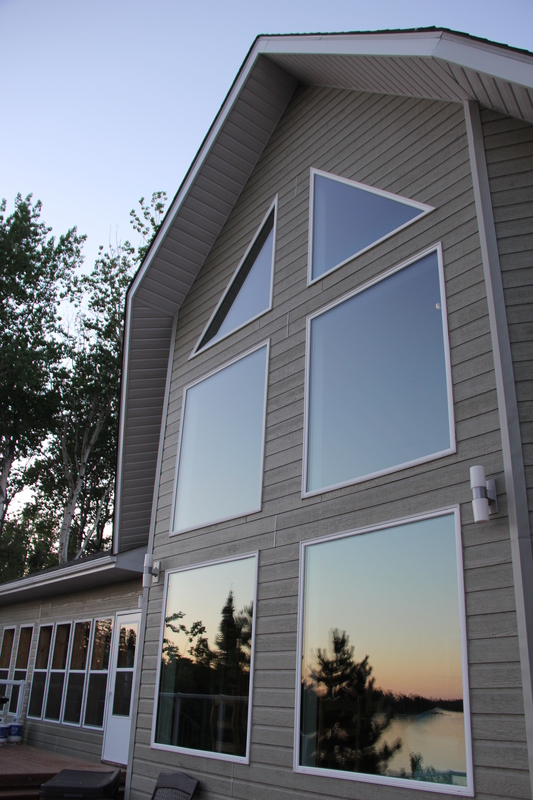 The large seminar building, on the back of the property, provides sleeping accommodation for 2 more, plus bathroom facilities. 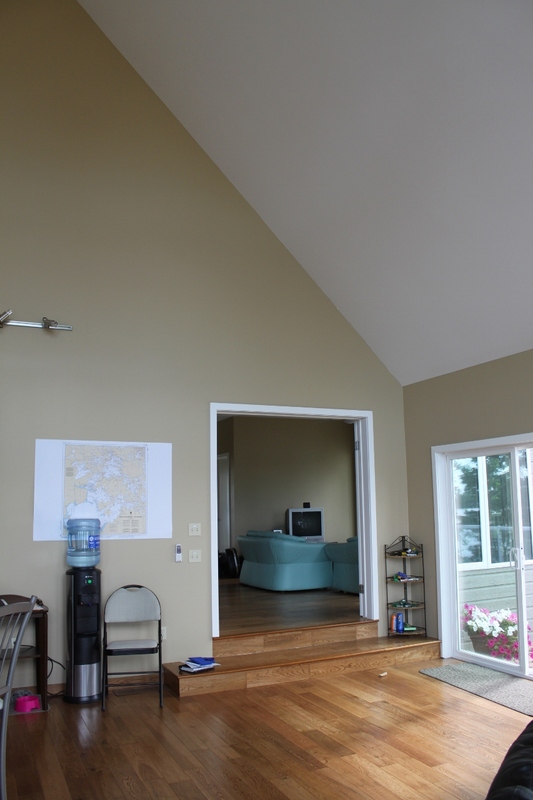 The second floor is the seminar room/yoga studio. 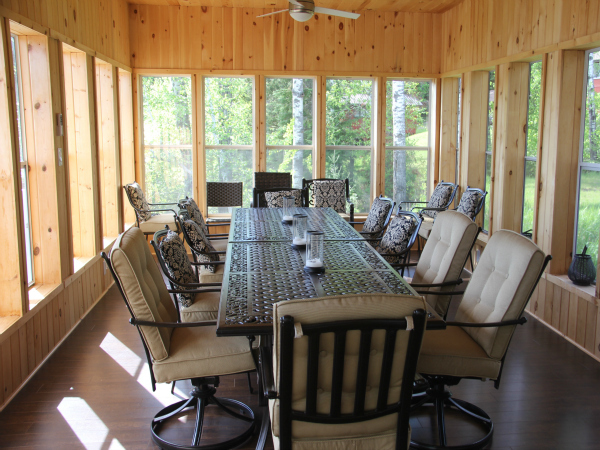 And is equipped with tables, chairs and flip charts. 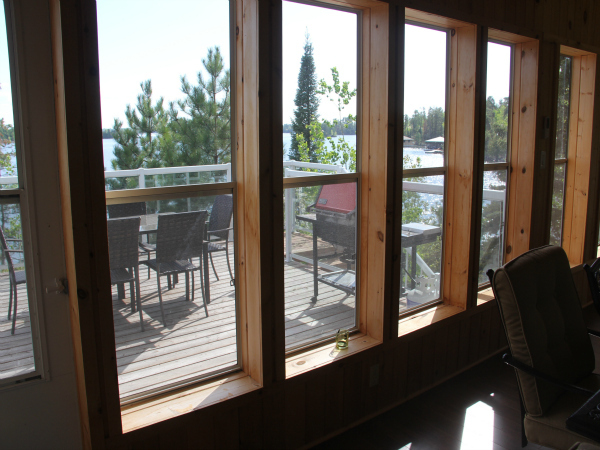 It also has a beautiful view of the lake. 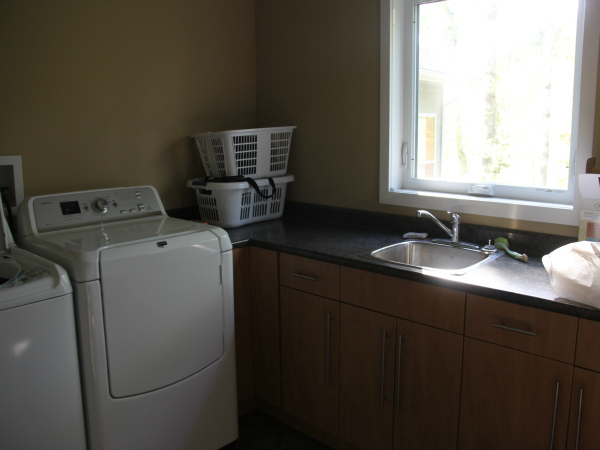 A 3rd building has recently been constructed and is on the lower level features 1000 sq ft space and a fitness area. 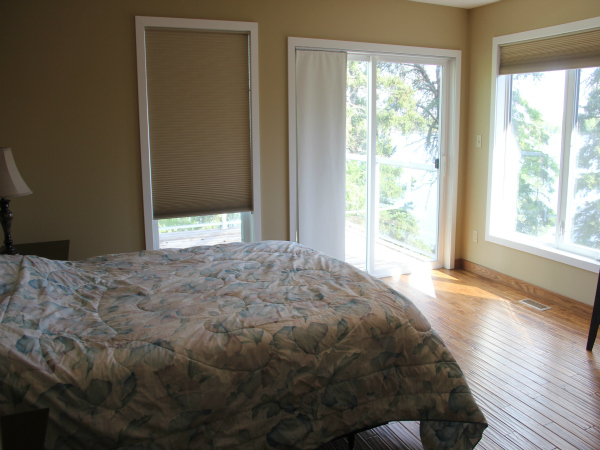 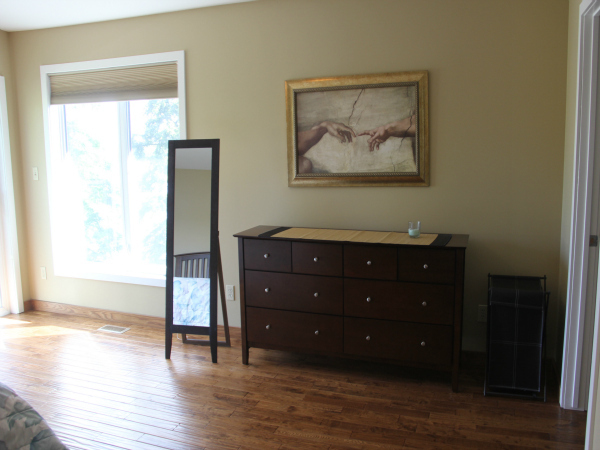 Upstairs has an additional 3 large bedrooms. 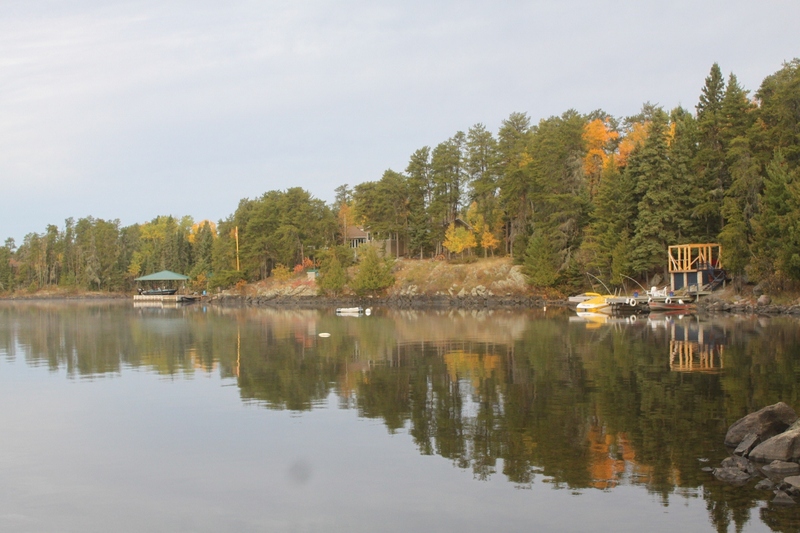 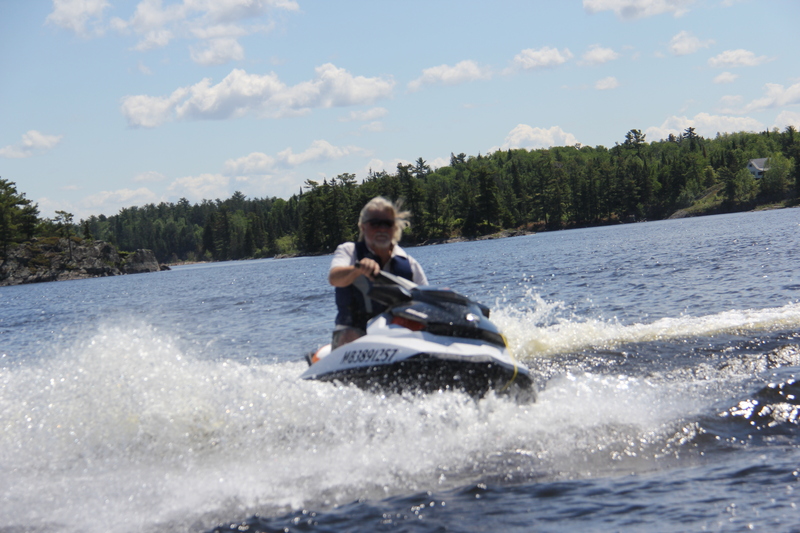 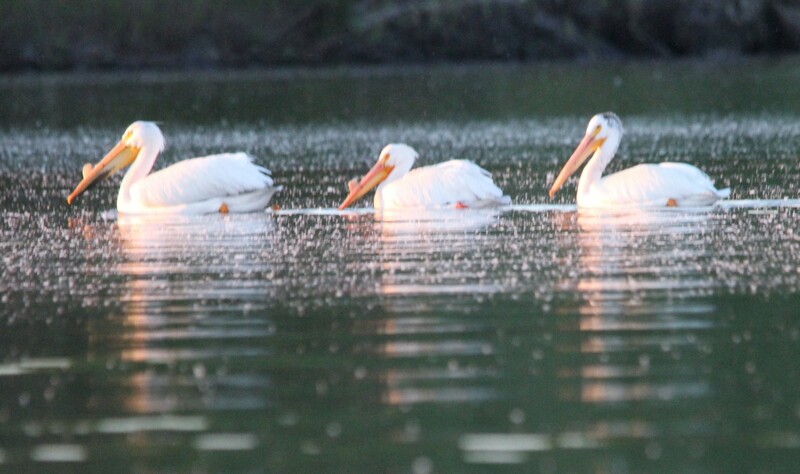 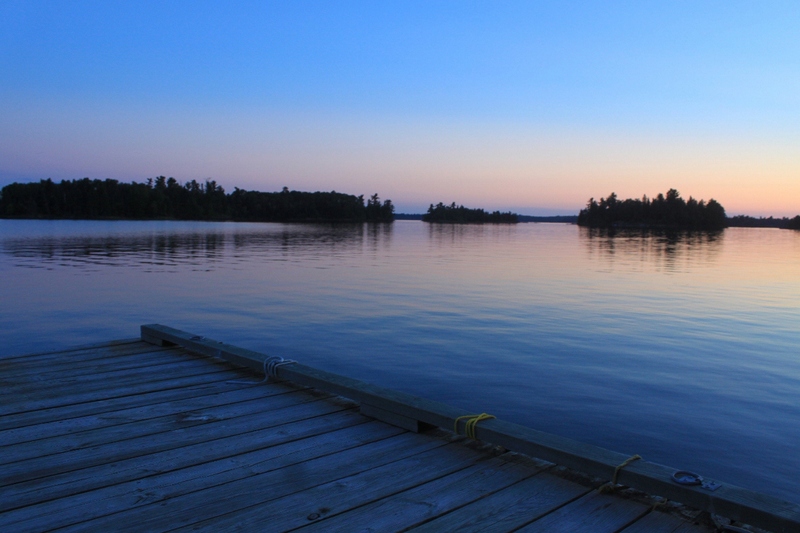 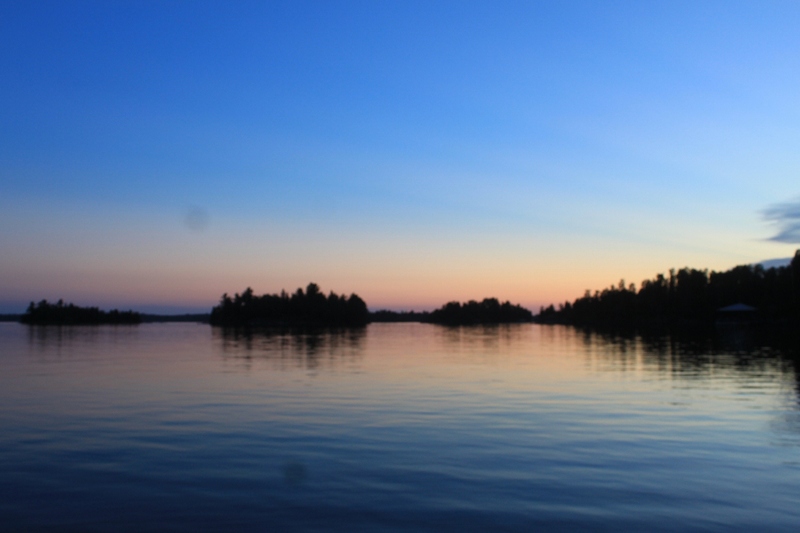 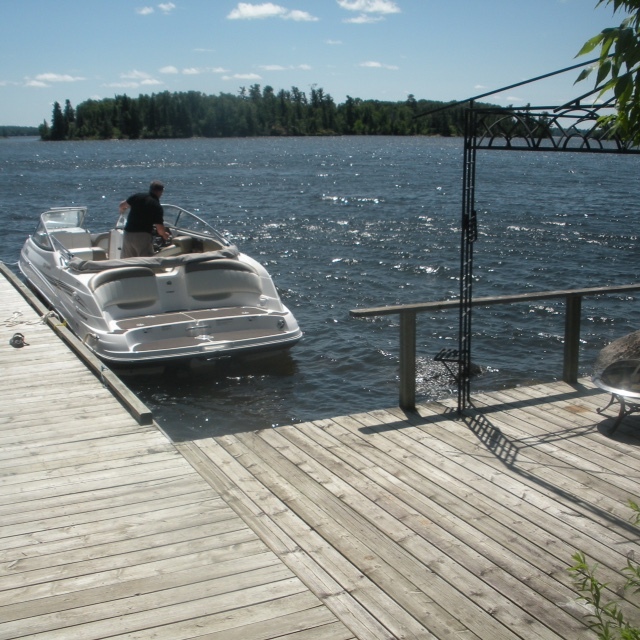 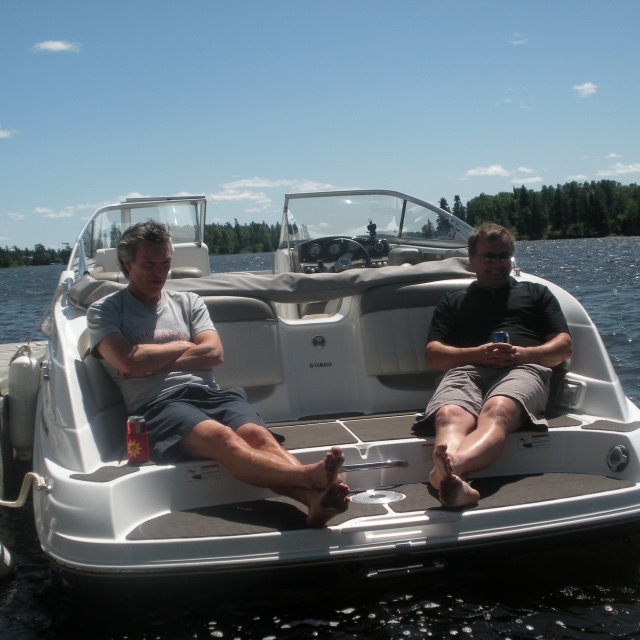 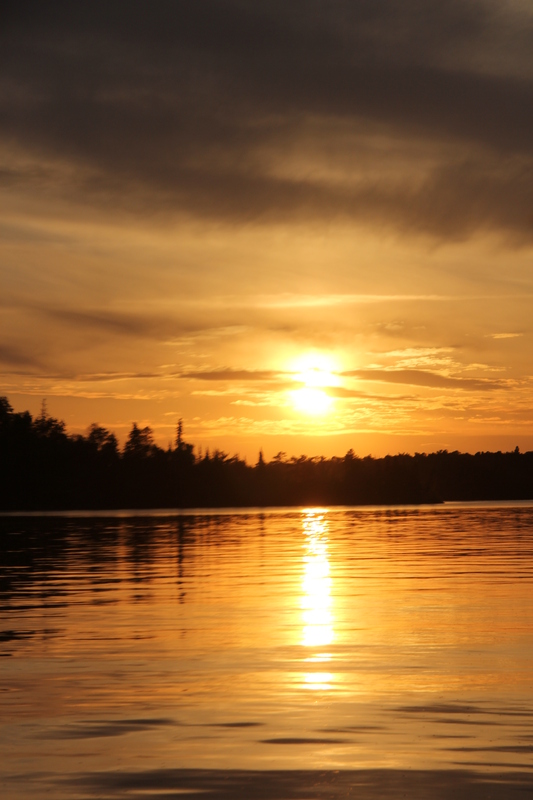 Lake of the Woods is famous for it’s beauty, boating, and fishing. 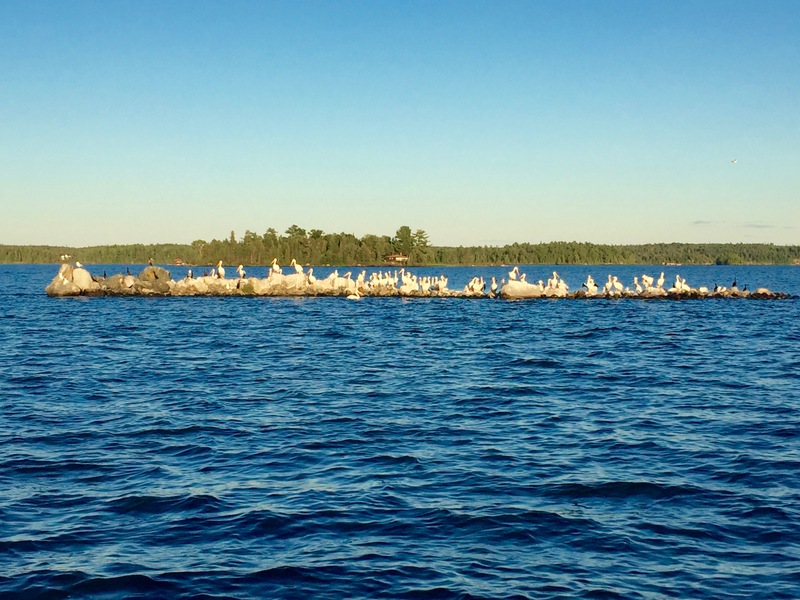 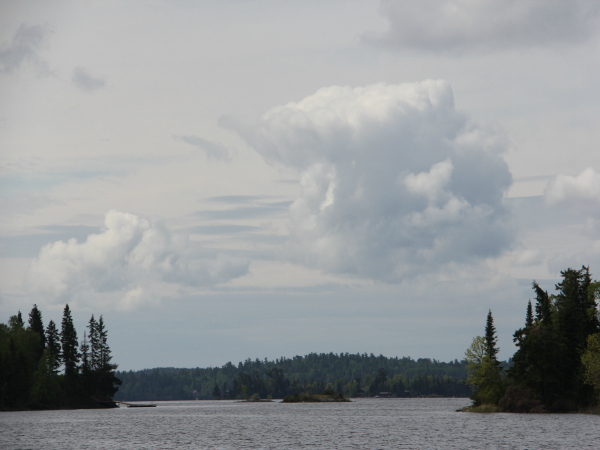 There are 14,200 islands on the lake. 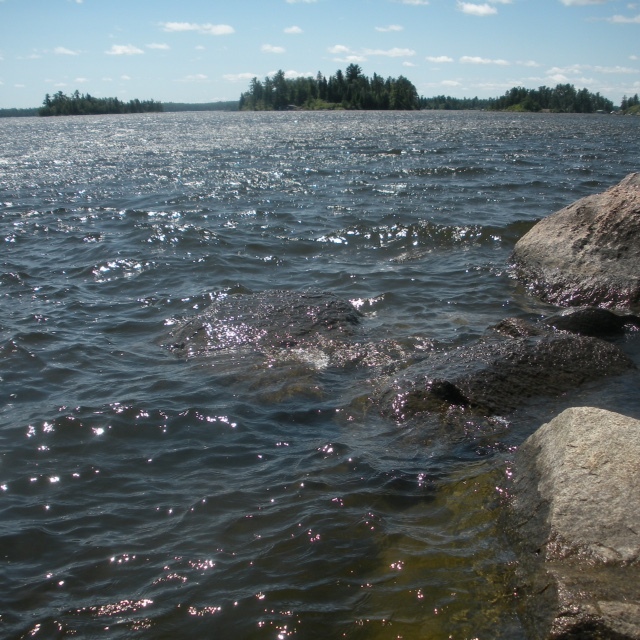 And over 100,000 km of coastline.